The nations leading at home massage service. Whether office, home, hotel, corporate chair massage, holiday event or spa parties! Our certified license top notch providers of in-home therapeutic massage and mobile spa services can arrive at your door. Desiring massage in the comfort of your home today? Schedule your next service within seconds. 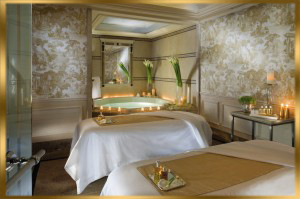 We have innovated the means of providing luxurious massages. Our therapist and estheticians are proficient in traveling to you and creating a pleasing ambiance, catering elegance and transcending you into a state of peace and luxury. Your massage will always be coursed with kindness and consideration. Customized to fit your desires, personalized schedule, time and needs. Our mobile spa service removes any worries of driving after a massage, pressures of meeting a massage appointments on time and interacting with a multitude of people in a unfamiliar surroundings which may deplete your massage of its healing, tranquil and relaxing benefits. We recognized that massage should be a wonderful and pleasant experience therefore we are continually striving to be your affordable and first choice for all of your therapeutic massage and relaxation needs. If you desire pain management massage, muscle therapy work, medical massage or injury therapy please fill out our optional online intake form below. You have the option of filling out form and printing. Once complete you can provide the form to your therapist once they arrive. Or you may enter necessary information and click submit. Your form will be meticulously scan by our medical massage managers and provided to your therapist. This will assure your expert body worker will have examine the form and arrive with complete supreme knowledge of your necessary in home massage treatment. Our therapist cater to all forms of massage therapy this includes relaxation and meditative massage and all massages can be join with any Eminence mobile spa service. Our expert therapist will bring a portable massage table, fresh linens, creams, candles, oils, aromas, meditational music and set up your personal sanctuary to your exact liking. We envision a experience and wellness service which will transform your home, hotel or office into a soothing paradise of relaxation by bringing our oasis to your oasis.